The Rustic Wrench is an established and growing company in Apache Junction AZ that offers unrivalled and affordable auto repair for all types of cars. We are committed to keeping you and your family safe on the road. Car and fleet owners of Maricopa and Pinal Counties depend on the Rustic Wrench for quick, dependable and affordable auto repairs and maintenance services. Oil changes are an important part of vehicle maintenance, and with qualified mechanics in Apache Junction, The Rustic Wrench offers detailed and efficient vehicle maintenance and oil changes for both first time customers and returning patrons. Making sure your brakes are in full operation is essential for the safety and continued operation of your vehicle. 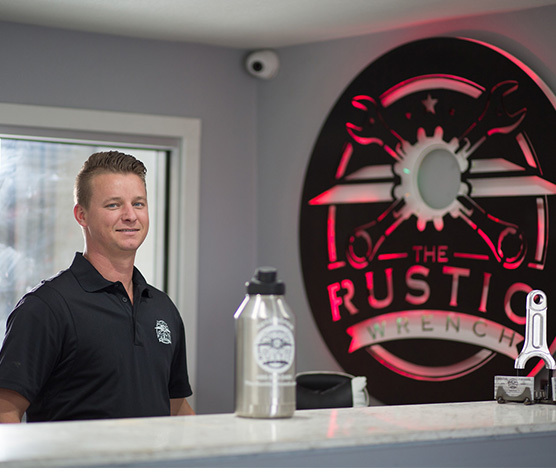 The Rustic Wrench is an affordable auto repair shop that can perform thorough brake repairs and maintenance for your vehicle. Arizona is home to some of the most extreme temperatures in the Southwest, which is why the trusted mechanics at The Rustic Wrench provides Apache Junction AC recharges for first time clients as well as returning customers. 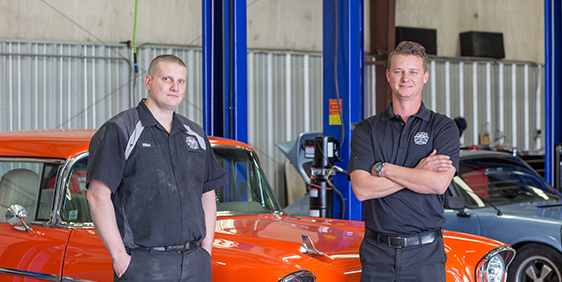 The trusted Apache Junction mechanics at The Rustic Wrench are classic car experts who can provide customers throughout the East Valley with full repairs and maintenance on both today’s modern vehicles as well as classic vehicles and hot rods. Our top priority at The Rustic Wrench is to provide friendly customer service and affordable Apache Junction vehicle repairs and maintenance for customers throughout the Valley. As a full automotive repair shop in Apache Junction, we can provide maintenance and repairs for your classic car from trained, experienced auto repair mechanics. Contact us today to find out more about the services we offer for classic cars. The Rustic Wrench offers the best possible quality while maintaining affordable prices. We are not only here to see to the needs of your car but to make you a long term customer as well. We carry out our tasks honestly and we will never over-charge you. We are open with our prices and will never surprise with undiscussed and hidden charges. Our business is locally owned and operated, thus you can expect excellent and flawless old-fashioned customer service. The Rustic Wrench’s affordable auto repair in Apache Junction has been giving top-notch auto repair benefits to car and fleet owners in Pinal and Maricopa Counties since 2017. We’re proud to extend to you our Nationwide Warranty on your recent repair. This warranty gives you the assurance that no matter where you travel in this great country, the repairs you trusted us to make are covered by over 35,000 of out independent partners. So no matter where you go, the trust that you put in your neighborhood shop… Travels with you across the country. Nationwide Warranty and Road hazard for 4 years for tires.